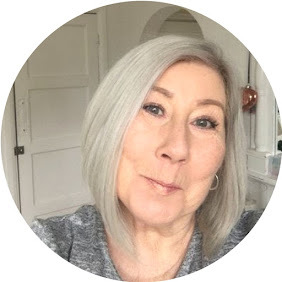 As you know I recently had the most amazing facial from Dermalogica at the HQ In Guildford Surrey, read about it here. It was while I was there I first learned about the new Phyto Replenish Oil that had just been released, so many people are scared of oils, this will not make your skin a greasy mess and it will not produce spots, now we have that out of the way I can tell you what It will do, this next generation formula takes a three stage approach to replenishing lipids that are lost through the ageing process and environmental stresses. Full of beautiful ingredients like Orchid flower, Chia seed oil, Sunflower, Rosemary and Rice Bran, Phyto replenish oil has been produced using no artificial fragrances, colours or parabens. Formulated for normal/dry skins this feather weight oil instantly smells and feels like the most luxurious salon treatment, when I say feather light, it really is, it applies like a delicate veil of moisture leaving no greasy or sticky residue, used either day or night alone or under make up it leaves your skin totally moisturised and softened, the thing I truly love about this oil is it's multi function capabilities, A daily skin oil, a night oil, mixed with foundation or your usual moisturiser to add a dewy glow, used as a home facial massage oil, ( instructions included for this ) it's quite the little miracle. I personally like the idea of a product being multi function, especially as they provide further value for money. I think on a personal note this really is going to come into it's own during the winter months for me, when my poor old skin suffers from central heating, wind and weather dryness.